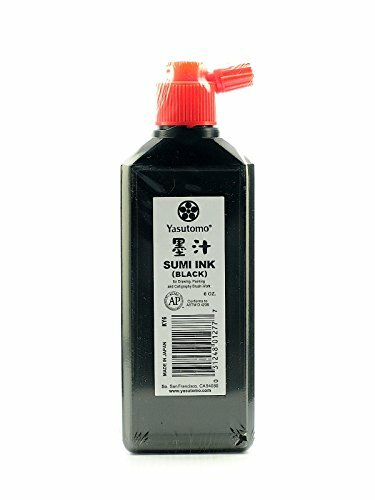 Permanent liquid Sumi ink made from high-quality vegetable oil soot. It is economical, convenient and time-saving, as it eliminates the need for grinding. Contains a small amount of shellac for water resistance. Sold as PACK OF 12. If you have any questions about this product by Yasutomo, contact us by completing and submitting the form below. If you are looking for a specif part number, please include it with your message.